The top one is Smile a Day from Thorntons. 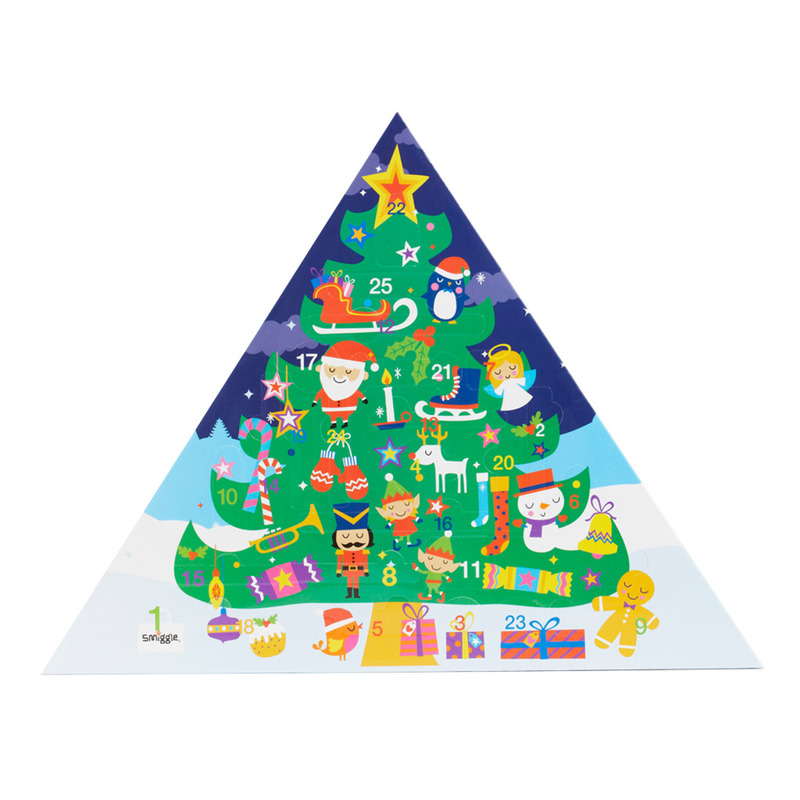 A lovely happy calender that makes you want to munch those smiley faces all up! Next we have a quirky stationary calender from Smiggle. Very unusual with very cheerful gifts behind every door. 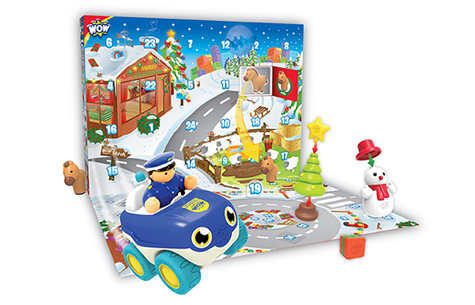 Our favourite advent calender for toddlers is this, the WOW toys calender, as every toy is of super high quality just like the “no batteries needed ” Wow toys themselves. They’re all excellent value for money. 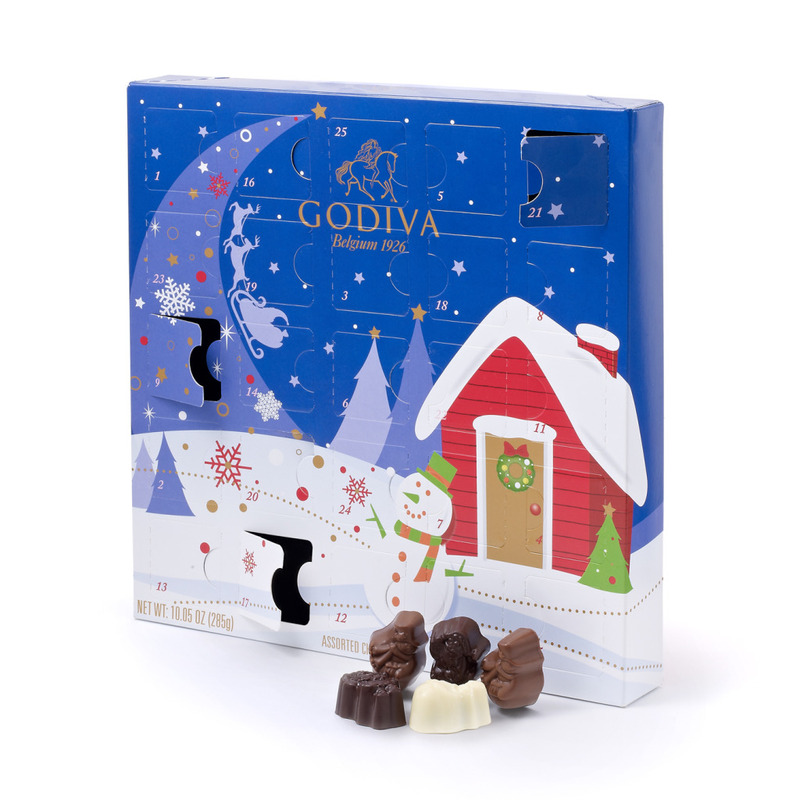 For friends, we recommend the Godiva calender, although we were quite selfish with this one and couldn’t bear to part with it in the office. We devoured this in a day between 4 of us! 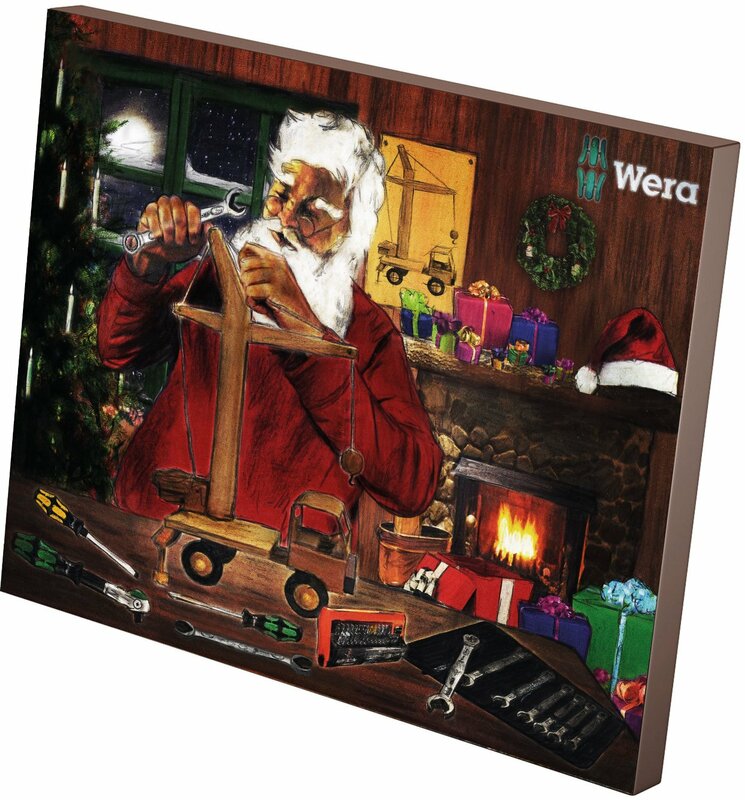 For men who love a bit of DIY this tool calender is ideal. Such a wonderful idea and turns any man into a big kid at Christmas again. Bye Bye Bah Humbug! This beauty for women, gives a new Benefit cosmetic a day. We’re keeping it and we’re ordering 12 so we have one for every month of the year. It’s not the cheapest but it sure is our firm favourite!